The Island Sailing Club's Accommodation House adjacent to the Club provides excellent value for money, with comfortable modern accommodation for its members, visitors and visiting yachts people. 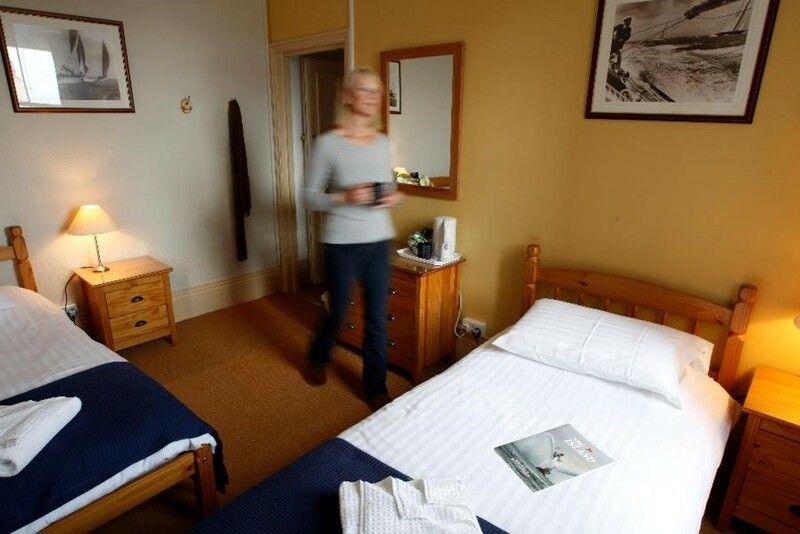 There are four standard twin bedded rooms, one double room with en suite WC, one room with a single bed and shower rooms and toilets adjacent to the bedrooms. All the rooms are named after lighthouses and are decorated with a nautical theme. The main entrance and disabled access is off the High Street where there is a convenient lay-by for dropping off luggage. There are three ground floor bedrooms and a bathroom and another three rooms and a bathroom on the first floor. White towels are provided and coffee/tea making facilities are in every room. There's hanging space in each room with mirrors, side tables, reading lamps and drawers. Visitors can enjoy the use of the Club facilities, and lunches and evening meals are available. A discounted breakfast can be enjoyed at an adjacent cafe. The Club Accommodation is open all the year round and reservations can be made via the Admin Office. A reservation deposit will be required to confirm a booking. Good rates for single or twin occupancy. If anyone would like to visit the accommodation for a viewing then please contact the Admin Office at the Club and we will be pleased to show you round. There is always demand for accommodation for crew or guests in such a central location, so please book early to avoid disappointment. The current rates can be found by downloading our current price list.